Filmmakers have been trying their hands at different strategies when it comes to promoting their movies. 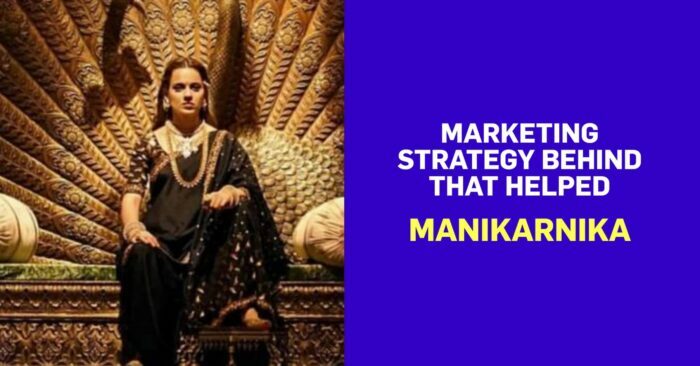 Manikarnika, which released on Republic Day had some advantages and disadvantages going its way in regards to its release on a national holiday. Well, the advantage was the fact that holidays always ensure a good opening and also the patriotic connect favored well for the movie. To its disadvantage, due to Republic Day, no newspapers are printed and that seemed like a hurdle for the film, as Sunday is a crucial day. But rather than considering it as a hindrance, the team at Zee Studios and Digi Osmosis built a great strategy to overcome the absence of newspapers. The team used extensive social media and digital marketing to reach out to the target audience and provide them with the movie review. They identified 18 key markets in India and depending on the preferred digital platform used by the TG, the communication was customized. The team went on to the extent of being vernacular provide messaging in preferred languages and platforms like Facebook, Instagram and WhatsApp were used extensively which helped to overcome the newspaper absence. “Practically every Indian is on digital platforms today, which means they are spread across various platforms like Facebook, YouTube, WhatsApp, Instagram. Influencers also play a key role in this digital era. We believe in reaching the audiences where they are rather than expecting them to come to us. The platform, the language being used has to be customized to appeal to the users,” explained Manish Kumar, CEO & Founder, Digi Osmosis. “We wanted to educate the audiences but at the same time didn’t want the film to be preachy. The idea was to ignite the patriotism within us without making it sound like a history lesson. So the entire campaign had to be planned with a similar approach,” said Neeraj Joshi, Head-Marketing, Zee Studios.